Recently the University of California, San Francisco (UCSF) joined forces with Barcelona, Spain-based CRO ZeClinics to commercialize a zebrafish model for childhood epilepsy that mimics the convulsive behavior and seizures associated with epilepsy. The model has a proven track record in successfully identifying new treatments against epileptic disorders and already has three compounds in Phases 1 and 2 clinical trials. Like the researchers at UCSF, numerous others from academia and the pharmaceutical industry across the globe are using zebrafish (Danio rerio) to develop new drugs. Treatments are being developed more quickly to treat a broad array of therapeutic areas, including infectious diseases, Alzheimer’s disease, cardiovascular diseases, neural disorders, cancers, hearing loss, and rare diseases, to name just a few. The researchers are realizing a major benefit of drug development made possible with the use of zebrafish: high-throughput screening of small molecules. These preclinical studies quickly assess toxicity and efficacy of new drugs, saving both time and money, necessities in this age of great pressure to do both. Indeed, more than 25,000 papers have been published indicating just how important a drug discovery tool zebrafish have become – and why. The pharmaceutical sector has certainly undergone numerous changes in recent years, and changing times call for new ways of thinking. The development process of any drug, from early target identification to clinical testing, registration, and market approval takes at least a decade and is extremely costly. It was only a few years ago that drug manufacturers did all of their compound discovery and development in-house. Now the industry is buffeted not only by pressure to reduce development costs but is also being maligned for the high cost of prescription drugs. Moreover, the industry faces increasing pressure from global regulatory agencies. That too, coupled with the need for speed to market, has intensified pressure on the industry. As a result, the downsizing trend took hold, leading to an unprecedented outsourcing of research to specialty contract research organizations (CROs). The need to balance innovation flexibility with cost efficiency has never been more evident. The classic drug development model is no longer sustainable. Recently, Nature published an article about the current trend toward pharma outsourcing as headcounts are decreasing despite the fact that more and more drugs are entering the market. Particularly for the many small drug makers but also big pharma, it is difficult to have internal know-how at every step of the drug development process. By specializing in particular therapeutic areas and stages of compound development, CROs are able to provide quality services and operational flexibility at more competitive prices. To stem these losses, researchers are finding that preclinical assays using zebrafish funnel down large compound libraries by scrapping unsuitable candidates well before reaching more costly regulatory in vivo studies and clinical phases. The trick is to generate enough biologically relevant data early on in order to improve predictability of drug targets and decrease the risk of late-phase attrition, bringing much-needed certainty for making go or no-go decisions, ultimately contributing to the sustainability of projects. Zebrafish allow pharmas to do precisely that. While research conducted with zebrafish has not yet enjoyed the same level of regulatory recognition as other widespread models, regulatory bodies are catching up with recent scientific developments. Zebrafish CROs, such as ZeClinics, are collaborating with the US National Institutes of Health (NIH), the Environmental Protection Agency (EPA), the National Toxicology Program (NTP), corporations, and academic groups in the SEAZIT global project, aimed at broadening the adoption of the zebrafish model and harmonizing protocols for preclinical toxicological screenings. To date, the groups have jointly validated a library of nearly 100 marketed products as having perfect matches with the zebrafish model. These sorts of ongoing initiatives are rapidly speeding awareness among regulators of the value of faster, cheaper zebrafish models. The regulatory arena for animal models is anything but static these days. In the cosmetics field, for example, there is a European Union (EU) ban on the sale of animal-tested cosmetics, in force since 2013, which reduces testing options to in vitro models. This is not an isolated legislation with a scope limited to the cosmetics sector. Rather, it is part of a broader effort to reduce, refine, and replace the use of animals in toxicity assays (otherwise known as the 3Rs initiative). Late last year European Commissioner for Internal Market and Services, Elżbieta Bieńkowska, claimed the European Union remains “fully committed” to ending animal testing. We fully endorse the 3Rs principles. Throughout the history of medical research, animal models have been used indiscriminately in laboratory testing. But nowadays, the scientific community and the different biopharma, cosmetic, and chemical sectors are committed to upholding higher ethical standards. Recent bans have a low impact on zebrafish testing relative to other vertebrate models for the simple reason that most of the safety and efficacy assays are carried out with zebrafish larvae at very early phases of embryonic development: from 2 to 5 days post fertilization (dpf). At those stages, organs are already fully developed, and data generated is biologically relevant, but the embryos themselves lack independent motility and rely exclusively on their yolk sac, to which they are still attached, for nutrient uptake. For all of these reasons, Directive 2010/63/EU of the European Parliament regulates that zebrafish larvae up to 5 dpf are classified as in vitro models. Therefore, for all practical purposes, it is accurate to regard zebrafish embryos as 3Rs-compliant and comparable to other commonly used in vitro models, such as the hen’s egg chorioallantoic membrane test (HET-CAM). Consequently, companies that are 3Rs compliant can offer their services to clients not only in the pharma, biotech, and chemical sectors, but also the heavily regulated cosmetics sector. Other in vitro human-relevant models, such as organs-on-chip, organoids, or 3D cultures, also have great potential in combination with in silico forecasts and biologically relevant models, such as zebrafish. However, further validation is still needed before they can become a viable substitute to current animal models. What’s required here is synergy. The ZeCardio platform serves as an example of in vivo cardiovascular work that can easily complement human cardiomyocyte research with vascular readouts.4,5 Data such as vein and artery blood flow velocity would be impossible to obtain otherwise. Hopefully, after the 2019 Parliamentary Elections, the EU will regard zebrafish as the animal testing alternative that the Commission is calling for in order to address the 3Rs and the serious problem of late-phase attrition. Earlier last year, the European Court of Justice (ECJ) ruled that gene-editing techniques, such as CRISPR/Cas9, would be regulated as Genetically Modified Organisms (GMOs). CRISPR experts at Ze-Clinics believe the recent ruling mostly concerns sectors other than healthcare. Why? 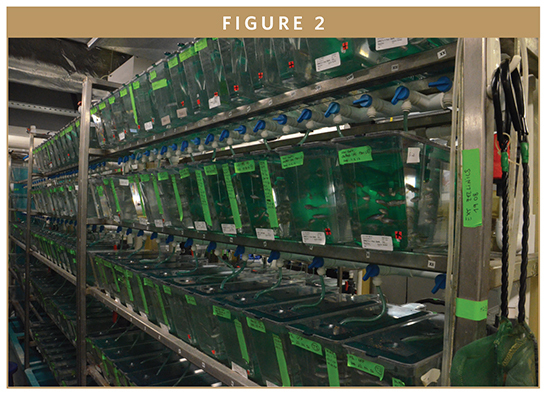 Zebrafish gene-edited lines are employed as part of in-house preclinical assays under controlled and contained conditions, which do not fall under Directive 2001/18/EC, the piece of European legislation on the deliberate release of GMOs into the environment that is also the main source of controversy in some circles. High-precision targeted mutagenesis with CRISPR/Cas9 will remain an irreplaceable tool for the study of life-threatening diseases and the understanding at the molecular level of drug/target interactions, leading ultimately to speeding personalized medicine development. The zebrafish CRO community is collaborative and international in reach. That’s because sponsors choose CROs not on the basis of location but on the basis of expertise in related drug development, specific technological prowess, or experience with specific disease states. Whether the CRO is located in the US, Europe, or Asia-Pacific is far less relevant than the know-how that leads to completion of projects in a timely, cost-effective manner. In this article we explored the benefits of preclinical outsourcing, the value of zebrafish as an alternative model, as well as the challenges and opportunities of managing a highly diversified portfolio and providing customized solutions. Kola I, Landis J. Can the pharmaceutical industry reduce attrition rates? Nat Rev Drug Discov. 2004;3(8):711-5. Waring MJ, Arrowsmith J, Leach AR, Leeson PD, Mandrell S, Owen RM, Pairaudeau G, Pennie WD, Pickett SD, Wang J, Wallace O, Weir A. An analysis of the attrition of drug candidates from four major pharmaceutical companies. Nat Rev Drug Discov. 2015;14(7):475-86. MacRae CA, Peterson RT. Zebrafish as tools for drug discovery. Nat Rev Drug Discov. 2015;14(10):721-31. Cornet C, Calzolari S, Miñana-Prieto R, Dyballa S, van Doornmalen E, Rutjes H, Savy T, D’Amico D, Terriente J. ZeGlobalTox: An Innovative Approach to Address Organ Drug Toxicity Using Zebrafish. Int J Mol Sci. 2017; 19, 18(4): E864. Zakaria Z. 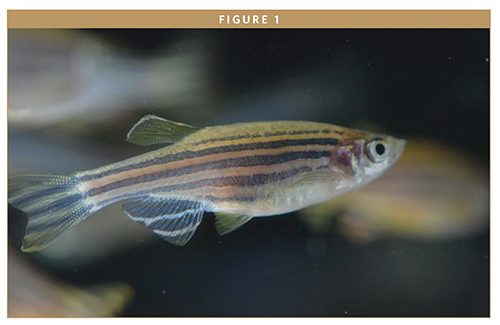 Using Zebrafish for Investigating the Molecular Mechanisms of Drug-Induced Cardiotoxicity. BioMed Research International. 2018(4):1-10. Cornet C, Di Donato V, Terriente J. Combining Zebrafish and CRISPR/Cas9: Toward a More Efficient Drug Discovery Pipeline. Front Pharmacol. 2018 Jul 3;9:703. Dr. Rafael Miñana is Services Manager of ZeClinics, a CRO that focuses on preclinical drug testing with zebrafish in multiple therapeutic areas. 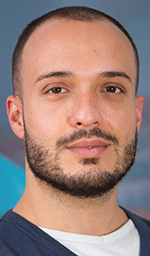 Dr. Miñana spends most of his day managing safety and efficacy assays, gene editing for target validation, monitoring fish facilities, and above all, coordinating a multidisciplinary team to best satisfy the requirements of their pharma, biotech, and cosmetics clients. In view of all these, it is no surprise he does not hesitate when being asked about the benefits and challenges of outsourcing drug-candidate identification and discovery.